Join us in the ancient practice of bhakti yoga…. All are welcome! No experience is neccesary…only an open heart. 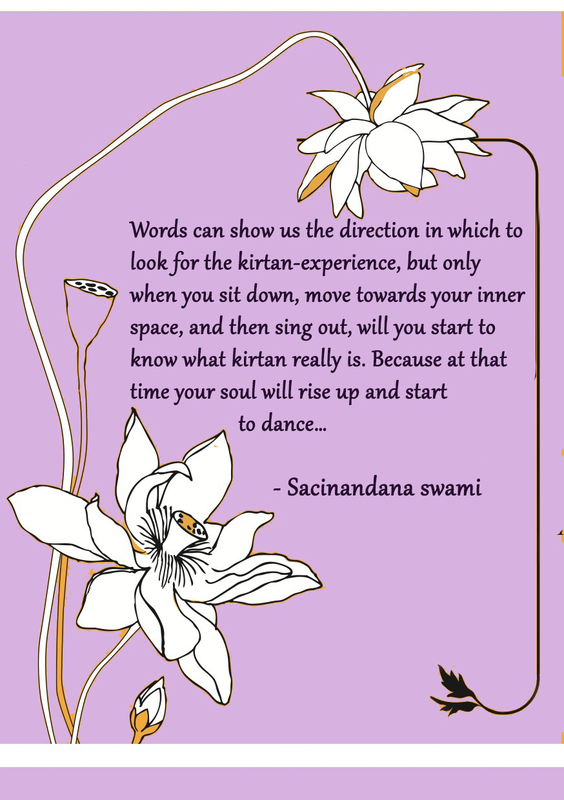 At its most simple, kirtan is a practice of meditation through music and mantra. It is an antidote to the mass distraction and disconnection of our modern age. It is authentic, easy and great fun. As recommended by saints and sages of every tradition, the collective singing of the names of God is the simplest method to reconnect with ourselves, with others and with the Supreme. Join Jahnavi Harrison and her friends for an evening of mantra music and enter a world where every word is a song, and every step is a dance. We have two wonderful events coming up! First, we will be organising a vegan cooking class on Friday 17/06 at 18.30. We will be cooking some delicious dishes! Second, on Friday 24/06 also at 18.30, we have a Mantra Meditation evening! You are very welcome to come and join us for these wonderful evenings! Check out the posters below for more information. We have yet another programme for you! 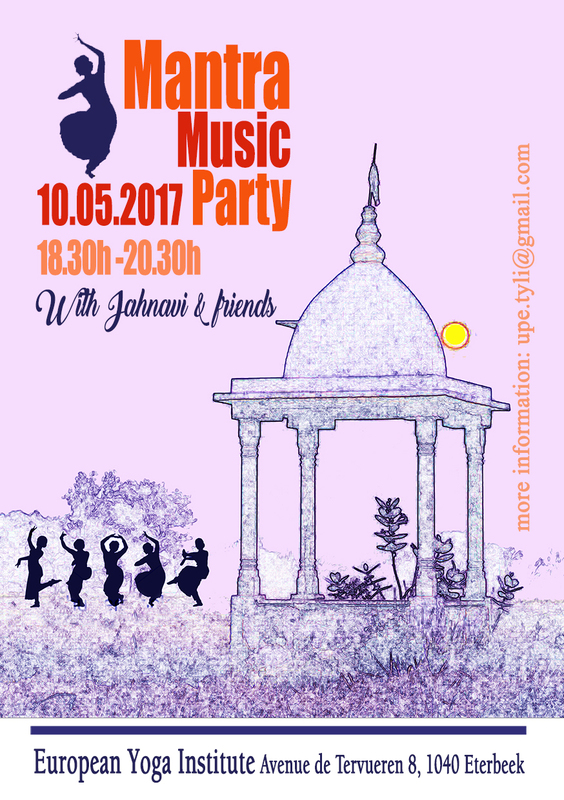 On Saturday 14 May, 14h-18h, we organize a large kirtan event! It will take place in Centre Rosocha, Rue Brialmont 7, 1210 Saint-Josse-Ten-Node. Please come and share the wonderful experience of mantra music with us! Nous avons encore un autre programme pour vous! Le samedi 14 mai, 14h-18h, nous organisons un grand événement kirtan! Cela aura lieu au Centre Rosocha, Rue Brialmont 7, 1210 Saint-Josse-Ten-Node. Venez et partagez la merveilleuse expérience de la musique mantra avec nous! У нас есть еще одна программа для вас! В субботу 14 мая, 14ч-18ч, мы организуем большое событие киртана! Оно будет проходить в центре Rosocha, Rue Brialmont 7, 1210 Saint-Josse-Ten-Node. Приходите и наслаждайтесь прекрасным опытом мантра музыки вместе с нами! In this beautiful month of May we have two very special programmes coming. On Sunday 15 May there will be a wonderful performance by Parividha Prabhu, who is a true artist and an outstanding devotee. This programme starts as usual at 13.30. Next, on Friday 20 May, we will celebrate the auspicious day of Narasimha Caturdasi, which is the appearance day of Lord Narasimha. 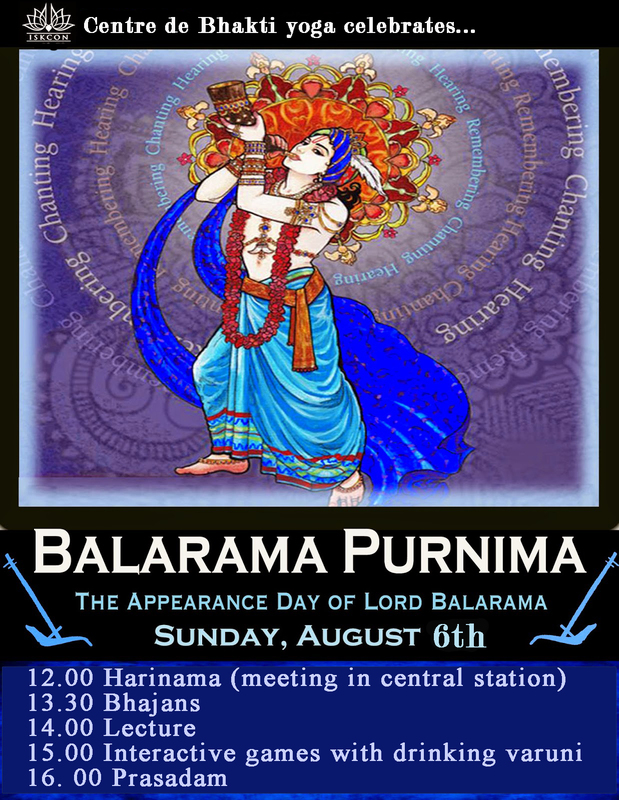 Also, for this wonderful celebration we will have a very special guest: His Holiness Yadunandana Swami. The programme will start at 18.00. Be there! Dans ce beau mois de mai, nous avons deux programmes très spéciaux. 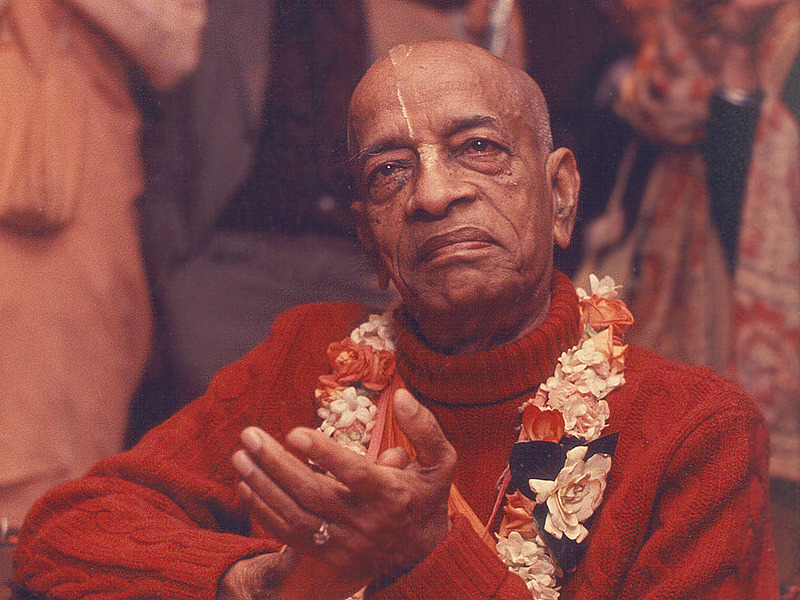 Le dimanche 15 mai, il y aura un merveilleux spectacle par Parividha Prabhu, qui est un vrai artiste et un dévot exceptionnel. Ce programme commence comme d’habitude à 13h30. Ensuite, le vendredi 20 mai, nous célébrerons le jour de Narasimha Caturdasi, qui est le jour de l’apparence de Seigneur Narasimha. Aussi, pour cette merveilleuse célébration, nous aurons un invité très spécial: Sa Sainteté Yadunandana Swami. Le programme commencera à 18h00. Soyez là! В прекрасном месяце мае будут две очень специальные программы. В воскресенье 15 мая будет замечательное выступление Паривидхи Прабху, который является настоящим артистом и выдающимся преданным. Эта программа начинается, как обычно, в 13.30. Затем, в пятницу, 20 мая, мы будем отмечать благоприятный день Нарасимхи Чатурдаши, это день явления Господа Нарасимхи. Кроме того, на этом замечательном празднике у нас будет особенный гость: Его Святейшество Ядунандана Свами. Программа начнется в 18.00. Приходите, пожалуйста! Dear friends, please join us for the wonderful festival of Nityananda Trayodasi on Saturday 20 February, 14:00!